If you are lucky enough to own an open space, it will most likely be destined to be an independent space, where you can relax and spend some good time. Outdoor spaces are often considered as an extension of interior spaces. You can find yourself in the evening after a day’s work, having an aperitif or dinner with friends. You can sit down during the day to enjoy a coffee while reading a good book. Or you can simply go out for a few moments, just to take advantage of a breath of fresh air. In any case, this space so fundamental must be cared for, elegant and welcoming, for wanting to spend time and feel perfectly at ease. Whether you have a balcony or a terrace, a small or a large space, our garden furniture collection is suitable for every need. 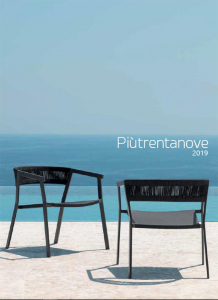 We propose you refined and elegant outdoor furniture, an exclusive furnishing to make your outdoor spaces a true paradise of peace, comfortable and hearty. 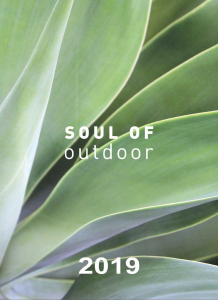 Whether you love interwoven, natural or resin, aluminium or teak, whether you are looking for complete garden furniture or a simple complement like an umbrella or an outdoor lamp, we have the solutions to meet all your needs. Our dining tables, complete with their matching chairs, come in many variations and different colours. Our garden sofas and armchairs are really comfortable and made with the best materials. Our furnishing accessories, such as outdoor showers, planters or puffs, are fun and chic. Trendy and fashionable furniture, suitable to be used both outside and inside according to your needs. We propose you an exclusive design and countless solutions, perfect to furnish your exteriors in a creative and luxurious way. Our collection is also suitable for the contract sector and is perfect for the outdoor spaces of hotels, restaurants, bars or for the best spas. And if you are the lucky owner of a yacht, thanks to our collections you will find the best solutions to customize your furniture according to your taste, with tailor-made realizations suitable for use in the marine environment. 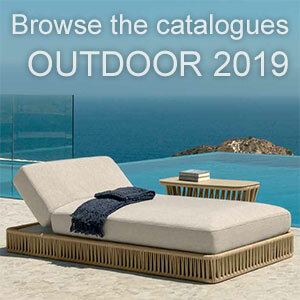 Then we invite you to browse through our catalogues to get an overview of our wide collection. Click on the covers below. To obtain more precise information and prices, we are available via e-mail at info@italydreamdesign.com or by telephone at +393477960415.